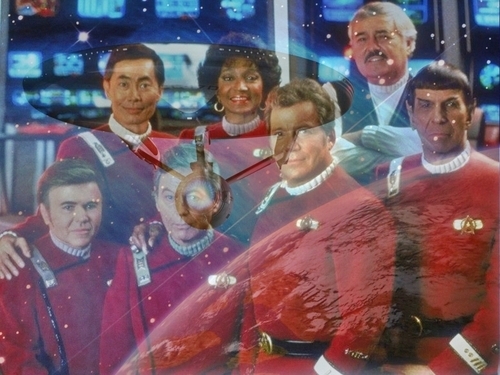 Crew of the Enterprise. Another simple "blended" hình nền I made, featuring Kirk and Crew. HD Wallpaper and background images in the Du hành giữa các vì sao club tagged: star trek kirk spock original series wallpaper enterprise space.